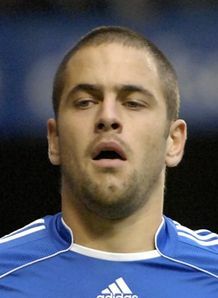 A lot of reports are surfacing today about the possiblity of Joe Cole coming to the lane on a Bosman. Me personally I thought for a few weeks now that Cole will be a Tottenham Player next season, the main reason for my logic is the fact that Harry knows Cole well, afterall he was the man to give Cole his professional debut. When you also take into account the fact that Harry would never let this type of bargain pass him by and his ability to talk players into joining clubs, weighing up the evidence can you really see Joe Cole at another club next season? It’s well know that Cole is a London Lad but could you really see him in an Arsenal shirt and would Wenger be able to talk him into a move to the Gunners over Redknapp talking him into a move to join us?. I truely believe Cole would love to work with Harry again and I can see that after the world cup an announcement will be made that Cole is a Spurs player. We have 5 players in the England World Cup squad and surely they will all be on Coles back to come to the lane. When asked about the possibility of Joe joining Tottenham, Harry was quoted as saying a deal is “not impossible”, which is a complete contrast of what he said only a few days ago when he said he thought Joe had already agreed to join another team. Harry is very shrude and knows exaclty what he is doing, and if there is anything I have learned in the past is that he loves a freebie. The question is Cole will demand a big signing on fee and big wagesso will we pay it? Well the wages he is on at Chelsea is around 100k a week, this is a figure we could pay because there is no transfer fee. The only trouble is would Cole getting 100k a week upset the other players? Does Cole deserve to earn more than Luka Modric and Ledley King? There is no doubt Cole will chip in with his share of goals and is a great player with experience of the Champions League. To me it would be the signing of the season if we could convince him to lower his wage demands to around 60k a week plus bonuses. So let’s all enjoy the World Cup that starts this friday and watch a future Tottenham player do the business for England, cos mark my words, if Joe Cole isn’t in a Tottenham shirt on the opening day of the season I will be very suprised. Harry isn’t stupid he knows we need a squad of quality players to handle the Premiership and Champions League so when there is a “triffic” freebie on offer which doesn’t come along too often expect Harry to fight tooth and nail to get his man. How’re you finding WordPress? There’s plenty to play with. There’s a link up now at WFRF. One paper reports that he wants to go to Arsenal so I am not happy about that. Don’t want someone playing for us and dreaming of elsewhere (Berbatov). Hope it was only paper talk. A Week Of Transfer Speculation – We Love It!!! Diego Forlan – Deadly Striker or Donkey?